If you need a GTO / Linear Pro SW2002XL part to get your gate opener up and running again, we have what you need. In the diagram below, simply select the gray diamond with the number in it to be taken to the corresponding GTO / Linear Pro SW2002XL replacement parts product page. 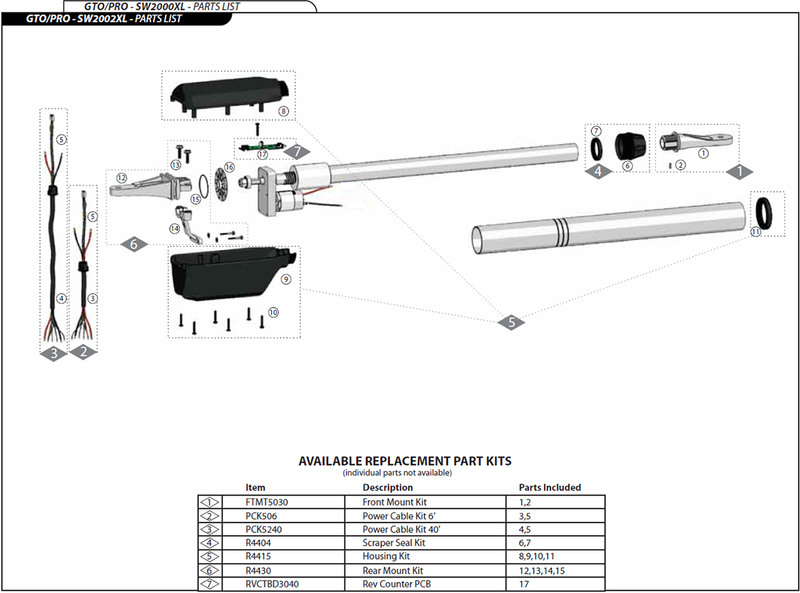 Another option is to use the buttons below the diagram for the desired replacement part. Still not sure what part you need? It's okay, our GTO / Linear Pro experts are only a phone call away at (800) 878-7829 or you can send us an email at Sales@GateOpenerKing.com and we would be more than happy to share our knowledge.